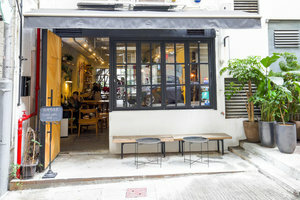 This 880 square feet cafe is advantageously positioned in the sophisticated and tasteful area of Sai Wan and is suitable for pop-up stores, photo-shooting, art- and music- related events, private meals and videos/films. 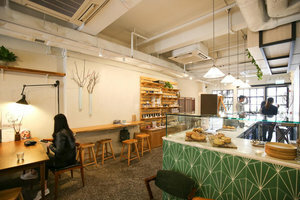 The cafe is located on the ground floor of a residential building, just a few minutes walk from the nearest MTR station. 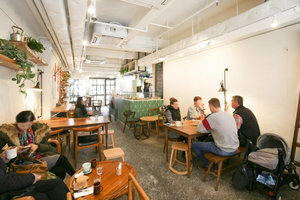 It is a large, open cafe with a white colour scheme, with a high ceiling and concrete flooring. 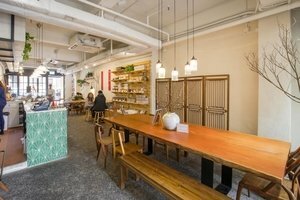 Moreover, the entire cafe is decorated with plants, creating a stylish and vibrant feeling. With the smell of fresh brew coffee, you and your guests can definitely enjoy and relax in this cosy cafe. It has large windows which allow natural light to burst into the cafe, creating a well-lit ambience. On the other hand, it is well-equipped with everything you need for any type of events. 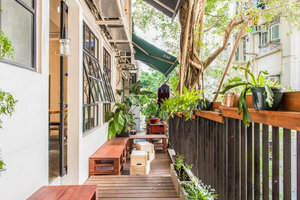 There are air-condition, a security system, Wi-Fi, a bar, a kitchen, a storeroom, shelves and even, a small courtyard where you and your guests could just relax and escape from the busy urban life.